Filipinos love games. So it's not surprising, that some of the most popular local TV shows in the country are basically game shows, with some singing and dancing on the side. International game shows are also famous in the country, especially those with outrageous ideas and elaborate sets. We're pretty sure that a lot of viewers have dreamed of joining one, for the sheer purpose of having fun. Well, they need not dream anymore. 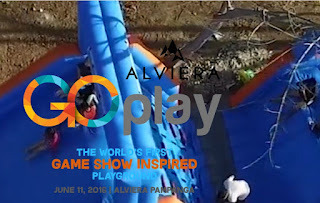 Alviera, an Ayala Land township development in Pampanga, is hosting the world'sf first game show-inspired playground, dubbed as Alviera Go Play. The event will take off on June 11 at SandBox, which is Alviera's nature-oriented adventure park. Now everyone will have a chance to play challenging and wacky games inspired by hit shows like Takeshi's Castle, Wipeout, and Gladiators. Of course there will also be local games that were given extra twists to make them more thrilling. The Alviera Go Play event is organized by Runtertainment, the company behind successful events like Outbreak Manila, Slidefest Philippines and Breakout Philippines. That fact alone guarantees a day full of unique and creative games and activities. The event promises to deliver lots of excitement, fun, prizes, food, and music. 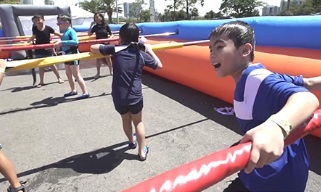 What then are the Go Play games and activities that will be featured at the huge playground? There will be more than 15 activities you can enjoy at the Alviera Go Play event, including the following: Human Foosball, Wacky Karaoke, Sumo Relay, Agawan Base dressed in a zorb ball, Binocular Basketball, Dizzy Penalty Kick, Wacky Inflatable Challenge, Breakout Philippines Escape Room Game, Caterpillar Run, Buzzingo, Extreme Jack & Poy, and more! If you get exhausted from playing all those games, you can chill out and just dance and enjoy the music around a foam pit set up in front of the stage. Local DJs will spin those summer hits for you as you wallow in foam and bubbles all you want. 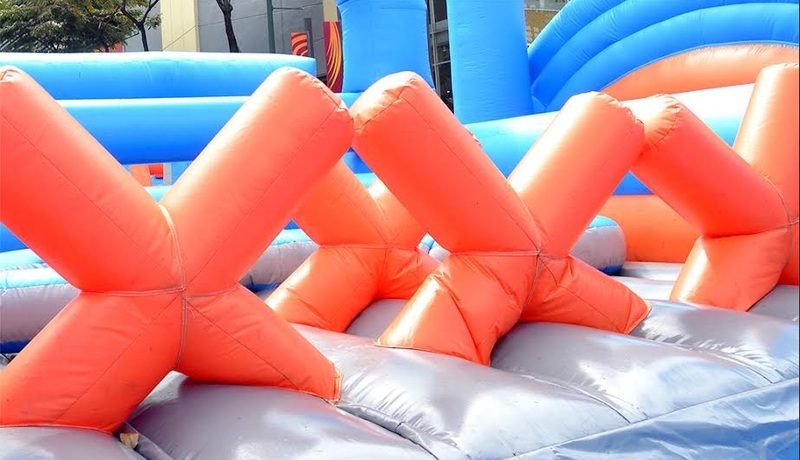 Kids 13 and below have a special area for themselves, a big Inflatable Play Area where they can tumble and roll without their parents worrying about their safety. Take note, these games and activities will be happening continuously all throughout the day, from 8 A. M. to 10 P.M. There won't be any problem for you, your family, and friends to hop from one activity to the other. How much will it cost you to register and play games at Alviera Go Play? First, you should know that Alviera Go Play is run like a giant outdoor arcade. You get points in exchange for your registration fee. The points are just like tokens in an arcade. You give your points to play a particular game. In exchange, you earn tickets for every successful activity or game. And just like in a typical arcade, you can exchange the tickets for souvenirs like t-shirts, stuffed toys, gadgets and even the grand prize of a trip for 4 to Boracay. WOW! Registration as a Regular Go Player will set you back P800 and entitles you to get 10 points. For Extreme Go Player you will have to shell out P1,200 but you will get 20 points, which is enough for you to participate in all the games and activities at the playground. Children aged 7 and below can register as Go Kids Player for only P600 and will get 10 points at the start. If you run out of points and still have the energy and enthusiasm to play, you can buy more points from a point refilling station. You can purchase at least one point for only 60 pesos and you can buy up to 15 points for only P500. 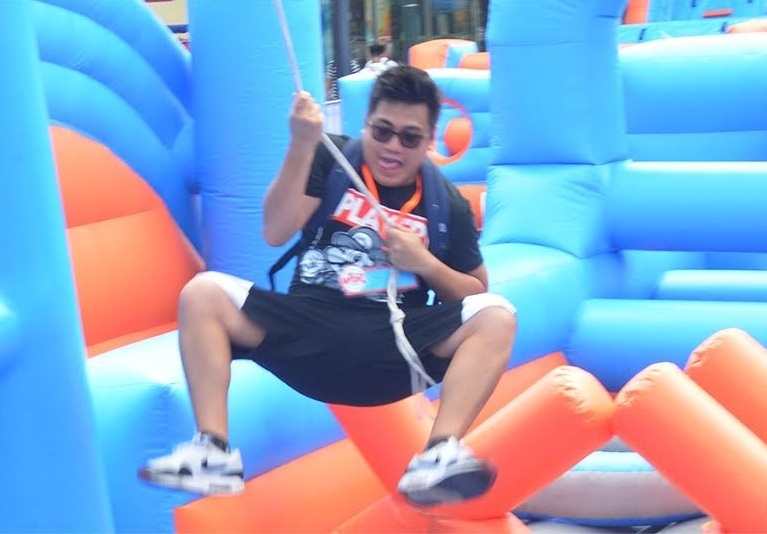 Go Players will be entitled to discounted tickets to popular Sandbox attractions like the Aerial Walk, Giant Swing, and Adventure Tower which features free fall, wall climbing, and Avatar One rollercoaster zipline. For non-Go Players, you're welcome to watch the happenings at the Alviera Go Play and you can even join others at the Foam Bash for free. Alviera Go Play looks like it's going to be an epic party for everyone. Visitors from Metro Manila, Pampanga, and other nearby provinces are expected at the event. Like other Alviera events at the Sandbox, attendance will probably hit by the thousands. Alviera is a 1,125 mixed-use masterplanned estate at Porac,Pampanga, developed by Ayala Land in partnership with Leonio Land. The estate was launched 2 years ago and according to its Project Development Manager Jomi de Guzman, there are lots of plans for the first phase of Alviera's development. In the next 3 years, Alviera will have 1500 residential units, a 6- hectare Country Club, 2 Universities (Holy Angel University and Miriam College), and a 31-hectare PEZA accredited Industrial Park. SandBox, is Alviera's catalyst project. It gives a taste of the fun and exciting experiences that Alviera holds. Alviera has hosted several signature events in the past including Brightscape and Christmas Jamboree. 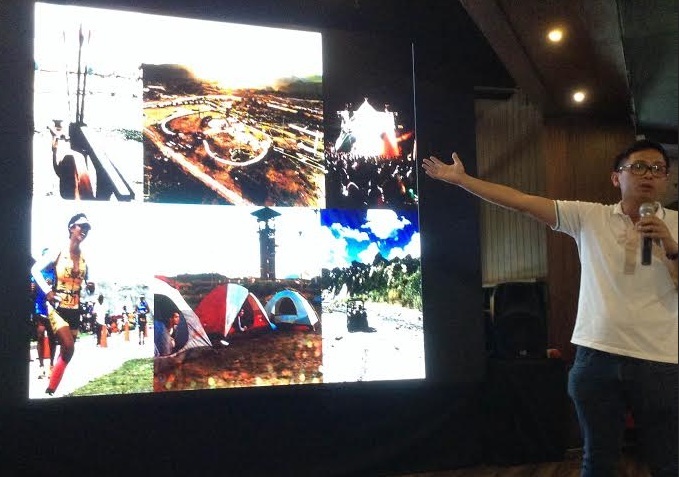 De Guzman said that Go Play "is the kind of experience one enjoys in Alviera, the kind that lets everyone participate in the fun and appreciate the outdoors." If you are interested to know more about Alviera and Sandbox, visit www.alviera.ph.